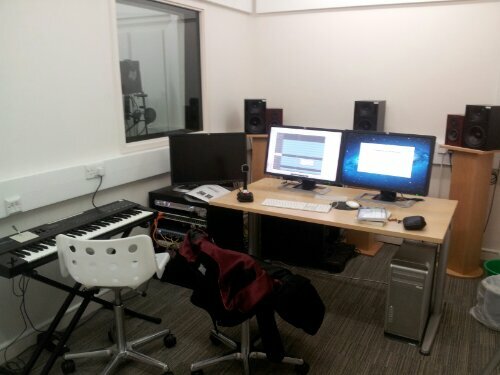 Sound room – the happy place? So seeing as it’s such a beautiful day, I decided to go into sound room 1 and experiment with happy sounds… This is turning out to be the hardest bit about my sound project, it’s quite easy to do tense, brooding, melancholy or dreamy, but happy…. It’s so tricky, so I’m having a look through the extra sound fx library for more base sounds with which to take through the synthesiser keyboard, we shall see.